Kalimpong, in West Bengal, sits 1,247 meters (4,091 feet) above sea level on a remote ridge in the Himalayan foothills, with the Teesta River at its base. The town's position provides superb views of Mount Kangchenjunga (the third highest peak in the world). Yet, much of Kalimpong's appeal is that tourists usually pass it by, in favor of more popular destinations such as Darjeeling and Gangtok in Sikkim. Nature and adventure lovers who prefer to get away from the crowds will find much on offer, though. Plan your trip there with this complete guide to Kalimpong. Kalimpong wasn't always part of India. It originally belonged to the Kingdom of Sikkim, which was ruled by monarchs of the Namgyal dynasty. The monarchy was formally established in the 17th century by Buddhist priests, who made Phuntsog Namgyal the first chogyal (king). He was the descendant of a prince, Guru Tashi, from Tibet who had migrated to the area. Following the death of the monarchy's second king Tensung Namgyal in 1700, there was disagreement as to who should succeed the throne. One of his children, who was unhappy with the outcome, invited the neighboring Bhutanese to invade Sikkim and intervene. The Namgyals eventually managed to reclaim much of their territory from the Bhutanese. However, this did not include present-day Kalimpong. The Bhutanese continued to occupy and control Kalimpong until the Anglo-Bhutan War in 1865. After losing the war, the Bhutanese handed Kalimpong over to the British in the Treaty of Sinchula. At that time, Kalimpong was only a small village. The British liked the climate there, so they began to develop it as a hill station, as an alternative to nearby Darjeeling. Kalimpong's location made it a convenient hub for trade with Tibet. As the town grew, it attracted more and more Nepalese, who came to improve their livelihoods. The area's indigenous inhabitants, the Lepchas, also flourished. The arrival of Scottish missionaries in the late 19th century resulted in a flurry of construction—schools, churches, and hospitals were built. One man, Reverend Dr. John Anderson Graham, played a pivotal role in the town's progress by supporting and educating illegitimate children of Darjeeling tea estate workers. He also started the Kalimpong Mela, a horticultural show for local farmers. Meanwhile, his wife founded the Kalimpong Arts and Craft Center to teach vocational skills to women. Kalimpong became part of the Indian state of West Bengal after India achieved independence from the British in 1947. However, China's invasion of Tibet in 1950 and subsequent Sino-Indian War with India in 1962 had a detrimental effect on the town's economy. India granted asylum to the Tibetans in 1959, which really angered China. Border disputes between the Chinese and Indians intensified, and this included border areas in and around Jelep Pass, connecting Sikkim to Tibet along the trade route. The pass was closed following the war and trade with Kalimpong halted. 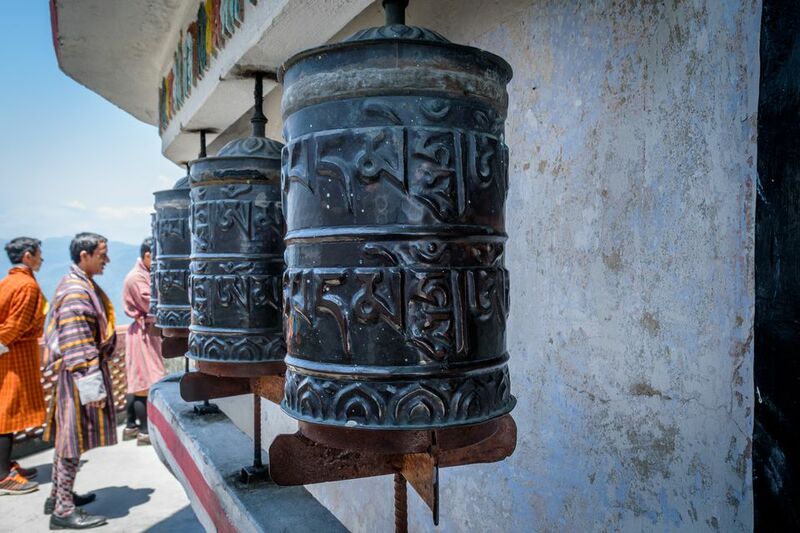 Many Buddhist monks fled Tibet and established monasteries in Kalimpong, bringing with them important scriptures. These have become a defining part of Kalimpong's pervasive multicultural heritage, which also blends British, Nepalese, Sikkimese, Indian, and indigenous influences. People are often surprised to learn that the Dalai Lama's second eldest brother lives in Kalimpong. He was a leader in the Tibetan resistance movement but now runs a noodle factory. Kalimpong was also thrust into the spotlight in 2006 as the setting for Kiran Desai's award-winning novel, The Inheritance of Loss. It earned her a Man Booker Prize. Kalimpong is situated between two hills, Deolo and Durpin, in the extreme northern part of West Bengal, not far from the Sikkim border. It's about a two-and-a-half-hour drive from Darjeeling, and about three hours from Gangtok in Sikkim. The closest airport to Kalimpong is Bagdogra in West Bengal, just under three hours away. A taxi from the airport to Kalimpong will cost about 2,600 rupees. Alternatively, the nearest major railway station is New Jalpaiguri in West Bengal, about two and a half hours away. You'll be able to get a shared jeep from there to Kalimpong for about 200 rupees per person or a private taxi for about 2,200 rupees. Taxis and shared jeeps to Kalimpong also depart from nearby Siliguri Junction railway station, though this station is smaller and receives fewer trains. Buses, operated by the North Bengal Transport Corporation, are another option from both these places. They depart every hour or less and are worth considering, as they provide more leg room than the shared jeeps. If you're headed to Kalimpong from Darjeeling, a private taxi will cost about 2,700 rupees. Shared jeeps are available too. For clear mountain views, the ideal months to visit Kalimpong are during the dry season from October to May. Standard half-day private sightseeing tours, offered by taxi drivers and local tour operators, will take you to all the main attractions toward Deolo Hill (in northeast Kalimpong) or Durpin Hill (in southwest Kalimpong). These tours can be combined into full-day tours to cover everything. Expect to pay about 1,500 rupees for a half-day tour or 2,000 for a full-day tour. Mangal Dham, a Hindu temple complex dedicated to Lord Krishna and Guruji Shir Mangaldasji Maharaj. It was constructed in 1993 and has captivating interiors adorned with scenes from Krishna's life. Thongsa Gompa, the oldest monastery in Kalimpong. It's often referred to as the Bhutanese Monastery, as it was built by the Bhutanese after they occupied Kalimpong. Tharpa Choling Gompa, founded in 1912 by renowned Tibetan Buddhist monk Domo Geshe Rinpoche Ngawang Kalsang who visited the area to collect medicinal plants. There's an interesting Chinese temple and museum in the compound too. Dr. Graham's Homes, founded in 1900 as an orphanage and school for underprivileged children. It has a small museum, open on weekdays, and an ornate church that looks like it's been lifted from the Scottish countryside. A large colorful statue of Lord Buddha seated on a lotus in a park. Sherpa Taar, a viewpoint overlooking the Teesta River that creates the border between West Bengal and Sikkim. Durga Mandir, a temple with a viewing gallery dedicated to Goddess Durga. Hanuman Tok, a temple dedicated to Lord Hanuman featuring a 30 foot-tall statue (the largest in region). Deolo Hill, the highest point in the area at about 5,500 feet above sea level. It has panoramic views, including spectacular sunrise vistas of Mount Kangchenjunga. The tourism department has developed an 8-acre recreation park on the summit, which is popular with families. There are snack stalls and pony rides. Government-run Deolo Tourist Lodge, a sprawling British era mansion, is part of the complex and offers basic accommodations that are all about location, location. It also has a restaurant. Nature Interpretation Center, an ecological museum operated by the forest department not far from town. Gouripur House, where acclaimed Indian poet Rabindranath Tagore stayed and composed some of his works. Unfortunately, it's in ruins. Pratima Tagore House, built by his daughter-in-law in 1943, is better maintained and has a lot of memorabilia. Army Golf Club, a picturesque landmark golf course established and maintained by the Indian Army stationed there. Morgan House, another colonial British-era mansion that's been converted into a government-run hotel. It's opposite the golf club. Durpin Monastery (officially called Zang Dhok Palri Monastery), Kalimpong's largest monastery and the highlight on Durpin Hill. It was built in 1972, after Tibetan monks fled to Kalimpong, and consecrated by the Dalai Lama 1976. The monastery has some impressive murals and rare Tibetan Buddhist manuscripts. You can join in the daily prayers at 6 a.m. and 3 p.m.
Jelep La Viewpoint, below Durpin Monastery, has views all the way across to Jelep Pass on the former trade route with Tibet. It's also possible to see where the Teesta, Reang and Relli rivers meet. In addition, there are some more attractions around town. Don't miss the local market, Haat Bazaar, which really comes to life on Saturday and Wednesday mornings. It's a fantastic place to taste local food and shop for handmade souvenir items. To see decorative paper being handmade, drop into Gangzong or Himalayan paper factories. Both are small-scale but Gangzong is the oldest one. You can buy paper products there. Visit the Lepcha Museum to learn about the local indigenous culture of the area. It has all kinds of exhibits ranging from old religious manuscripts to traditional musical instruments. Marvel over the unusual design of Saint Theresa's Church, which resembles a Buddhist shrine. It was built in 1929 by Swiss Jesuits. Gothic-style MacFarlane Church, completed in 1891, is also quite magnificent. It was renovated in 2011, after an earthquake damaged its bell tower. Those with a passion for horticulture should put Kalimpong's numerous plant and flower nurseries on their itineraries. Pine View Nursery is renowned for its comprehensive cactus collection and can be included on the standard southwest Kalimpong sightseeing tour. Nurseryman’s Haven is a specialist orchid nursery within Holumba Haven. Thrill-seekers can go paragliding in Kalimpong or rafting down the Teesta River. Do be aware that paragliding isn't properly regulated and there have been casualties. Himalayan Eagle is a reputable company that offers paragliding. Check out Gurudongma Tours for rafting trips (and a multitude of other outdoor experiences). However, one of the best things to do is simply hike around the area and enjoy nature. Try hiking from Kalimpong to Chitrey waterfall, through the rice fields. If you're interested in local village life, Kalimpong-based NGO Mondo Challenge offers a worthwhile community-based Village Discovery Hiking Tour that supports poor rural villages. The tour has options from one to three days, and you'll get to spend time in villages with different lifestyles and traditions. A day trip to Lava, about an hour and a half east of Kalimpong near Neora National Park, is recommended as well. It's a great spot for bird watching, and has some two to three hour hikes through the forest. Go on Tuesday to attend the local market. You can also visit a Buddhist monastery there. The return journey will cost about 3,500 rupees in a taxi. There are other hiking opportunities around Pedong, about an hour east of Kalimpong. You can stop and see the ruins of 17th century Damsang Fort, and quaint Sillery Gaon village, on the way. Expect to pay about 3,000 rupees for a return day trip. Of course, make sure you sample the yummiest momos (a kind of dumpling) in town! Gompu's, on the main road not far from the Haat Bazaar, is famous for its plump signature pork momos. Don't like pork? There are other Tibetan dishes on the menu. For an unforgettable view with your food, The Art Cafe is a hip place to hang out in the same area. As its name suggests, it promotes local artists. The coffee is great there too. Stop by Lark's Provisions to pick up local specialties such as Kalimpong cheese and homemade pickles. The iconic Himalayan Hotel, which dates back to 1905 and was the first hotel in the region, has been refurbished and recently reopened as the luxurious Mayfair Himalayan Spa Resort. Its 63 guest rooms are spread over the original heritage wing and a newly constructed wing. Rates start from about 9,500 rupees per night for a double, including tax. Numerous dignitaries, and even Hollywood stars, have stayed there. Elgin Silver Oaks is another luxury boutique heritage property. It was built in 1930 and was the home of a wealthy British jute magnate. There are 20 guest rooms. Rates start from about 12,500 rupees per night, including all meals and tax. The Soods Garden Retreat is a popular mid-range option on the main road just before town. Rates start from 5,000 rupees per night, with breakfast included. Holumba Haven provides basic cottages amid a tranquil garden and orchid nursery, in the same area as The Soods Garden Retreat. Expect to pay around 2,000 rupees per night. Look no further than Mansarover Homestay, on the ridge leading to Durpin Monastery, for outstanding hospitality provided by a friendly local family. Delicious home-cooked meals are served, made from produce grown in their organic garden. Rates start from 2,200 rupees per night, including breakfast and tax. Kalimpong Village Retreat is ideal for those who want to unwind away from it all surrounded by nature. The property is a 30 minute drive from Kalimpong town, plus a 5 minute walk from the road. Expect to pay 3,000 rupees per night for a double.